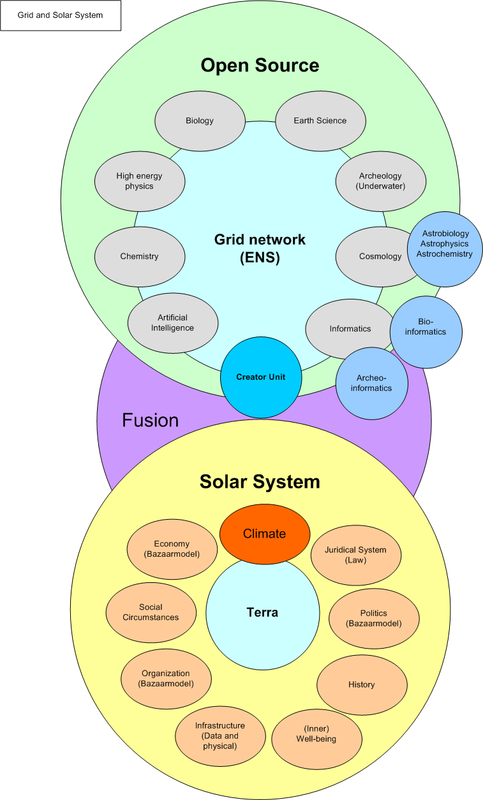 The Energy Group focuses first on promoting Fusion Energy and chemically assisted nuclear reactions research and later on contributing via the ENS network in researching and building fusion energy modules. So that the fossil fuel era will be replaced with the Plasma Era of Energy and Medicine. Energy and Healing Abundance for All. All groups will operate within or in partnership with 2Grid (The 2Grid Group). "..in fact extremely simple underlying rules - that might for example potentially be implemented directly at the level of atoms - are often all that is needed." "And indeed one of the things that emerges from this book is that traditional engineering has actually considered only a tiny and quite unrepresentative fraction of all the kinds of systems and processes that are in principle possible." "..it seems likely that a system could be set up in which just one or a few atoms would correspond to a cell in a system like a cellular automaton. And one thing this would mean is that doing computations would then translate almost directly into building actual physical structures out of atoms."